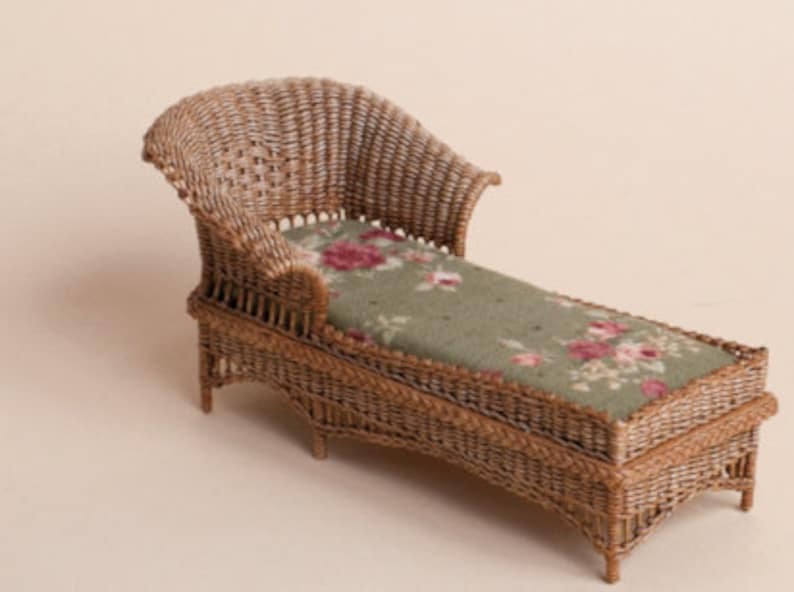 Dollhouse miniature, Wicker lounge chair, diamond pattern, light brown, cotton fabric, measures H 58 mm. x B 65 mm. x W 126 mm.